Tooth loss is an undesirable situation from oral health perspective. Natural teeth not only help in breaking down food but also help maintain facial shape. Natural teeth stimulate the supporting bone by transmitting bite load through tooth roots. This keeps the bone healthy and in shape. When a tooth is lost, the chewing efficiency of the patient comes down to some extent. Tooth restorations are recommended to prevent problems that result from tooth loss and improve chewing efficiency. Our dental implants have been successful in improving oral health of many of our patients who visit us from Boynton Beach, FL and surrounding communities. 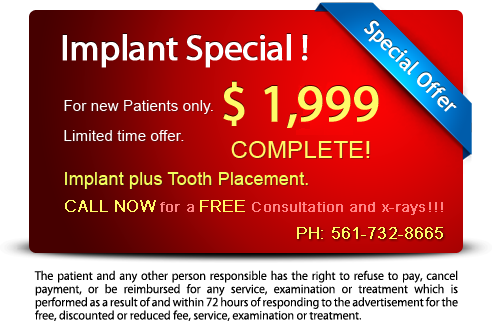 If you have lost a tooth, come speak to our dentist to know your tooth replacement options. Our team will strive towards creating a healthy smile for you. Tooth loss can be a result of decay, gum infection or accidental injury. Irrespective of the cause, loss of permanent tooth will have serious consequences on oral health since the tooth does not regrow. Following are some of the issues that arise when a tooth is lost. Dental implant restoration takes place in multiple phases. The first phase involves examination. In this phase, our dentist checks the oral health of the patient and the status of the supporting bone. X-rays and scans may be taken for this purpose. The patient must have sufficient supporting bone to hold the implant. Bone surgery may have to be performed if there is insufficient supporting bone. We also make a note of health conditions such as uncontrolled diabetes and check if patients have undergone radiation therapy in the head and neck region. Such conditions may raise concerns. On confirmation that dental implant surgery can be performed, the treatment process is explained to the patient. The second phase is dental implant surgery. In this phase local anesthesia and sedation may have to be used. An incision is made in the gums and different types of dental drills are used to create a bony recess. The dental implant is torqued in the position carefully. The implant head is covered using a cap and the gums are sutured back. The implant is left to heal for next few months. The third phase involves fabrication of dental crown and replacement of lost tooth using crown. Our dentist checks for successful integration of the implant with the supporting bone. Impressions of teeth are taken on confirmation of Osseointegration. A dental crown is fabricated in the lab based on the impressions. The implant cap is removed and an abutment is fixed over it. 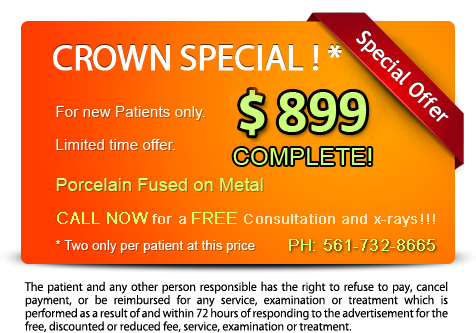 The final crown which is prepared in the lab is fixed over the abutment using dental cement or through screw.